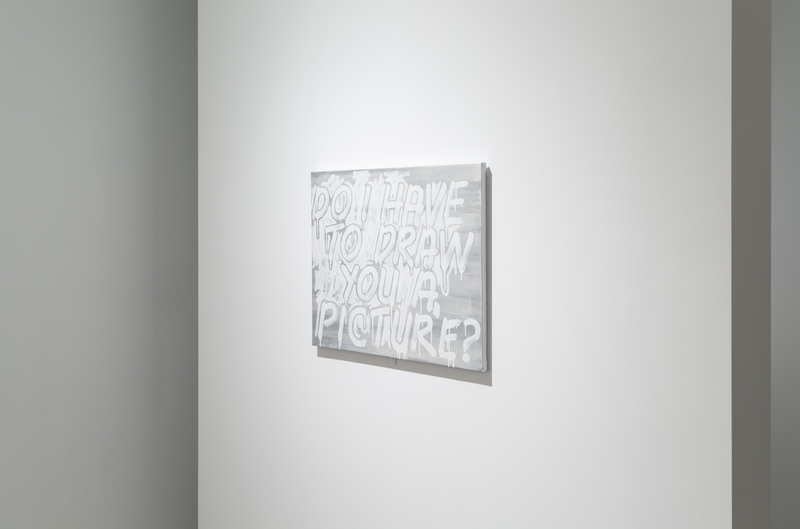 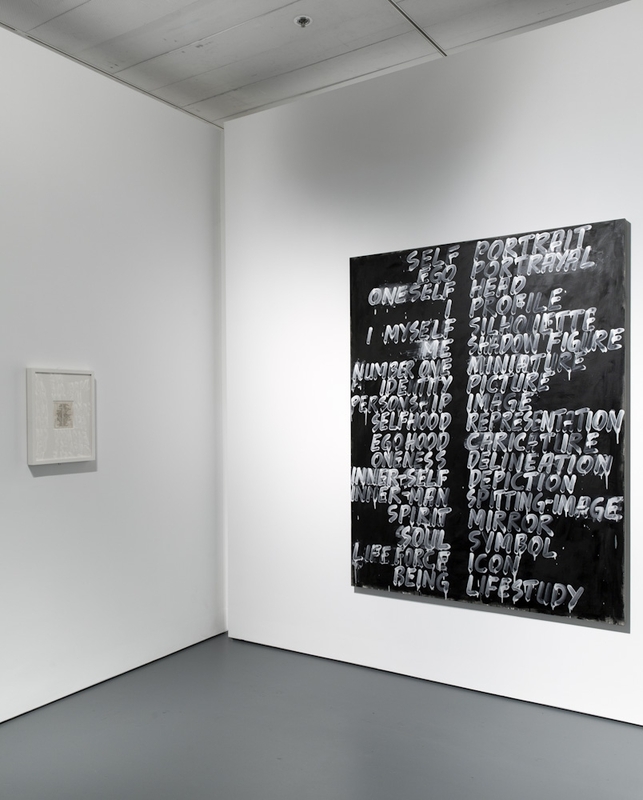 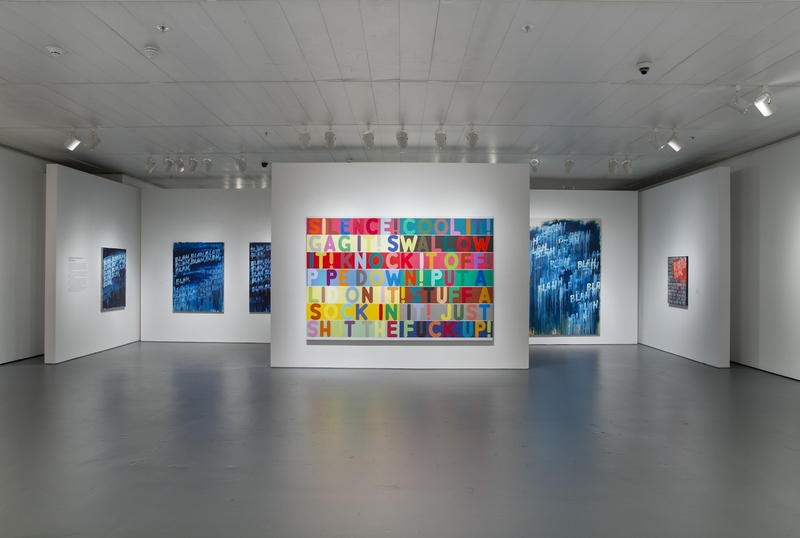 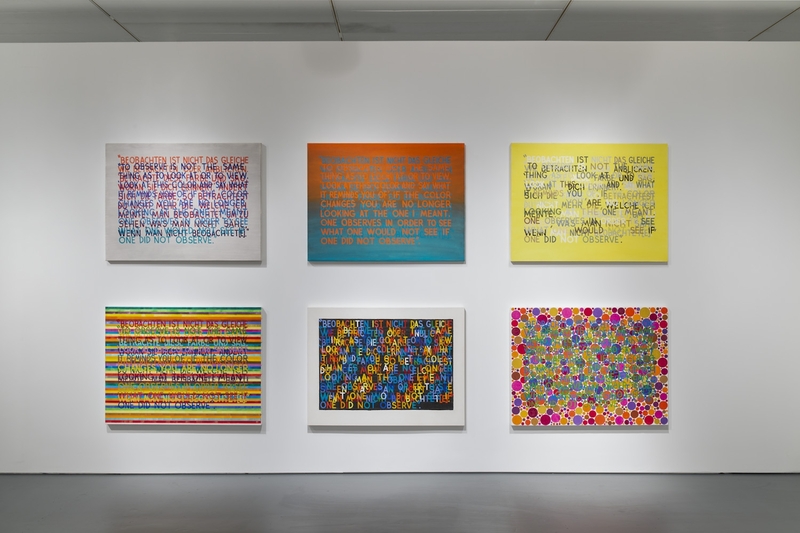 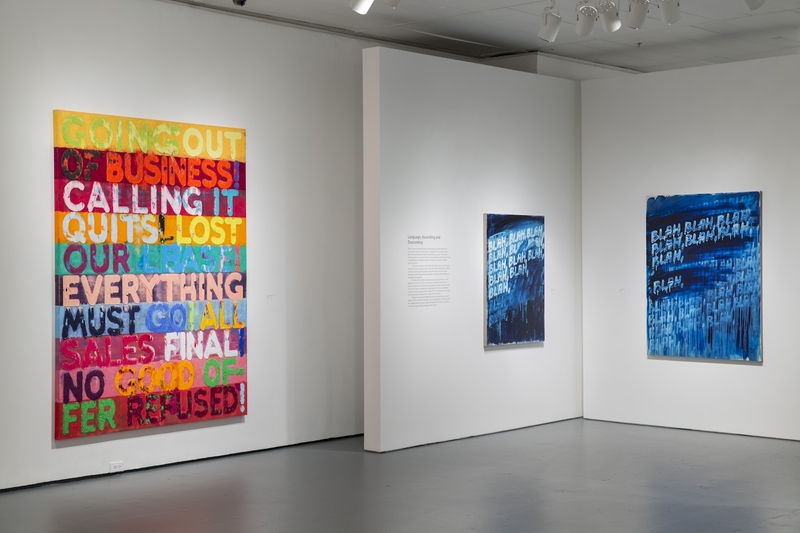 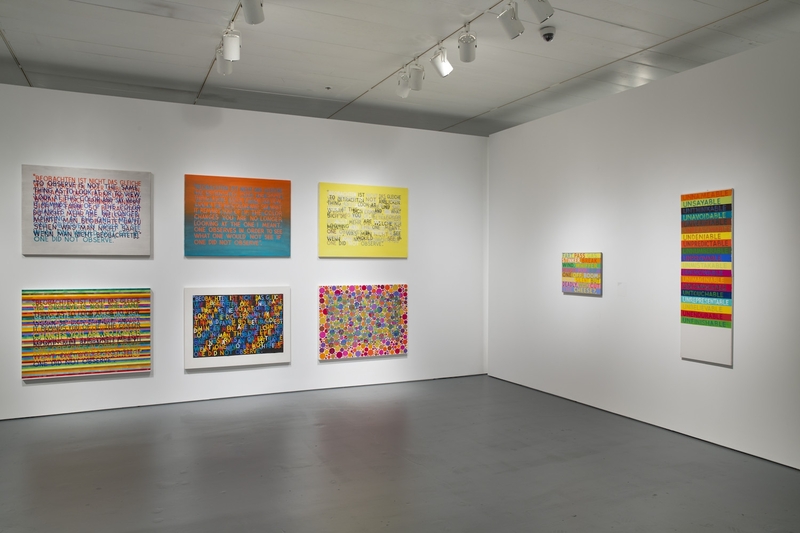 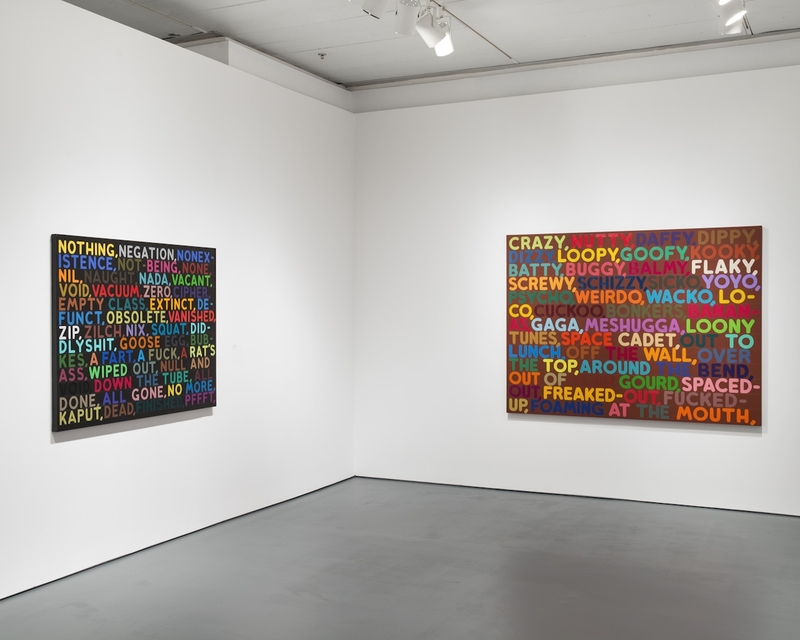 Across a selection of more than 70 works, Mel Bochner: Strong Language focuses on the artist’s career-long fascination with the cerebral and visual associations of words. 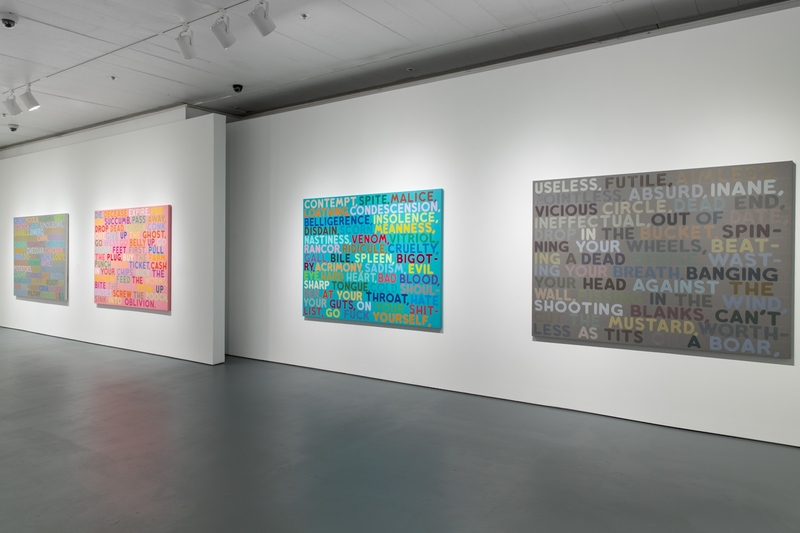 In his spectacular recent paintings, Bochner juxtaposes the vernacular and the proper, the formal and the vulgar, and the high versus the low, using terms often appropriated from Roget’s Thesaurus. 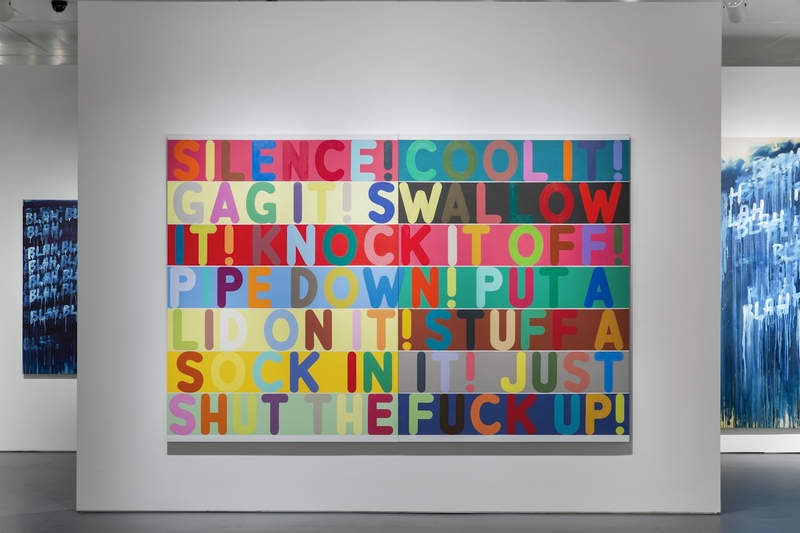 A founding figure of the Conceptual Art movement of the 1960s, Mel Bochner (b. 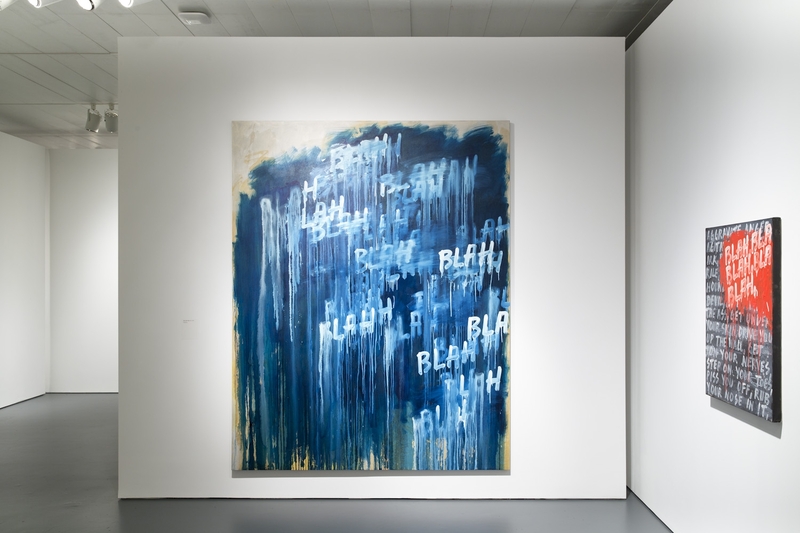 1940) has taken an unusual turn toward painterly expressiveness during the past two decades. 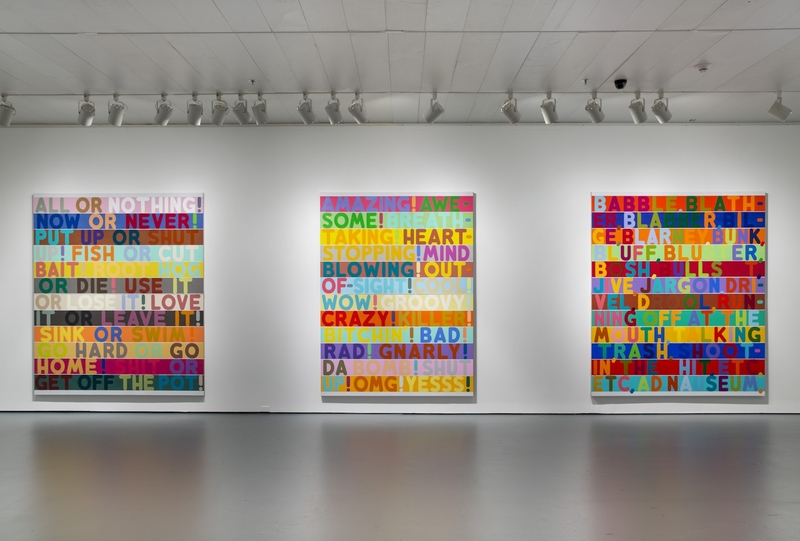 The exhibition will present a broad selection of works—from often-witty early conceptual examples to vibrantly colored and lushly executed recent paintings—which show the artist’s engagement with the possibilities of language as image, medium, and content. 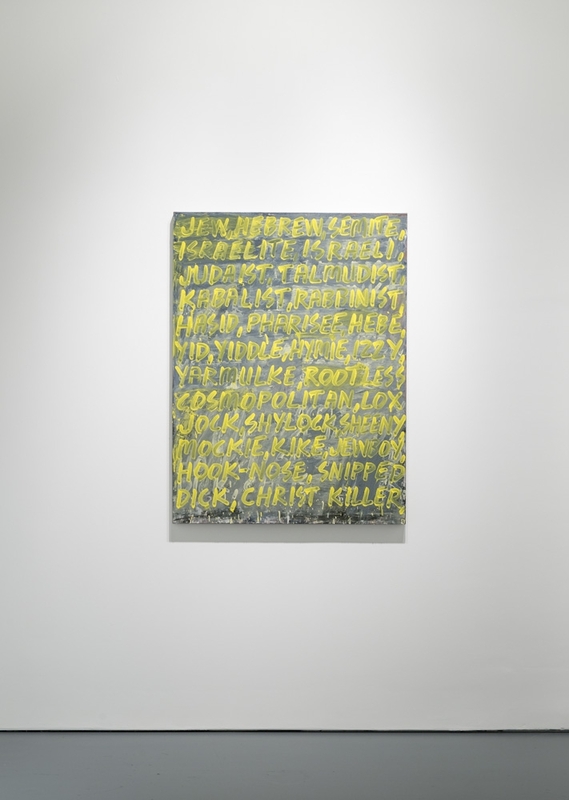 In his recent paintings, Bochner has explored painterly elements of high-key color, thick facture, and virtuoso brushwork. 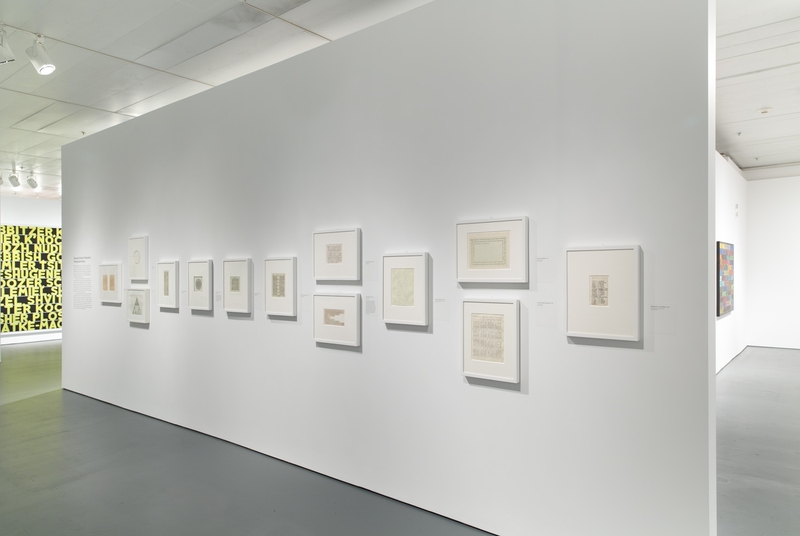 These works offer myriad pleasures for the eye, playing pictorial approaches against literary associations. 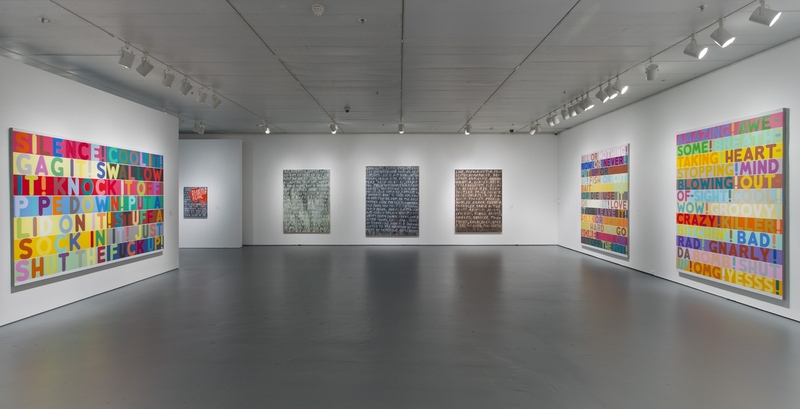 Visual and verbal snares await the viewer, who is forced to negotiate a path between the opticality of color, the materiality of paint, and sometimes transgressive language. 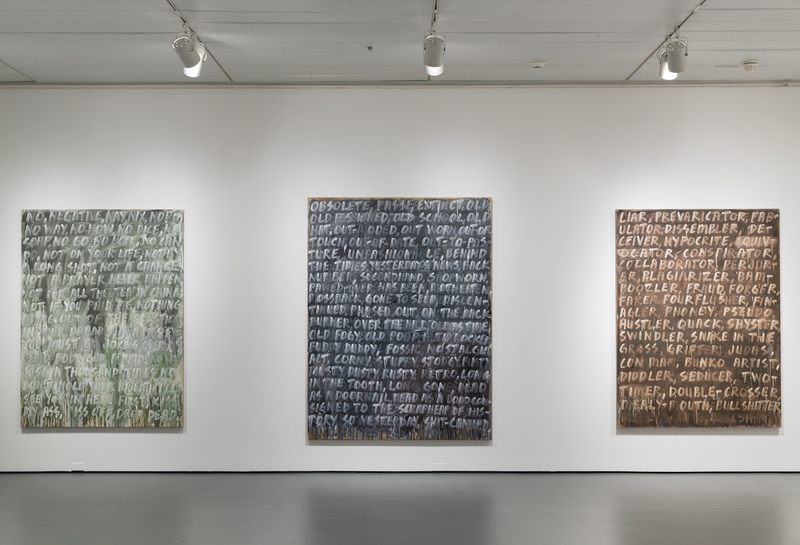 Within the Western philosophical tradition, Bochner has long been interested in Jewish thought, with its emphasis on text, language, and wordplay. 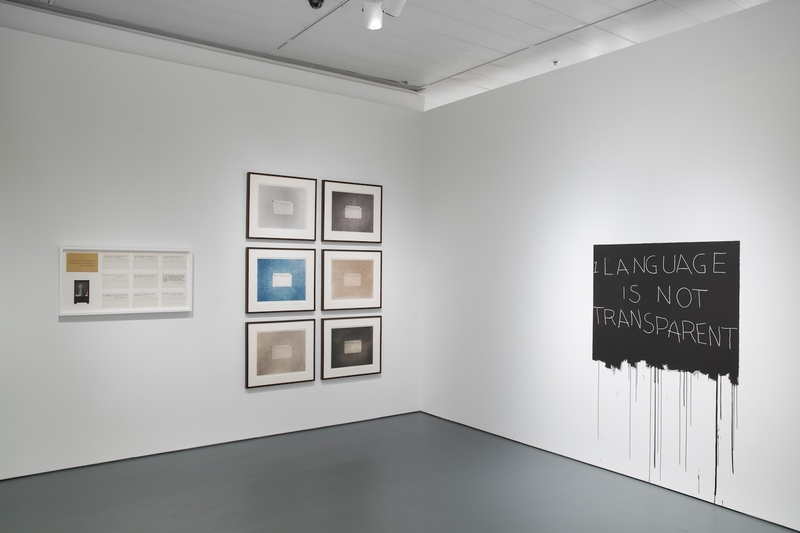 Yet the words he selects are hardly elevated or sacred—in fact, they are often mundane and secular. 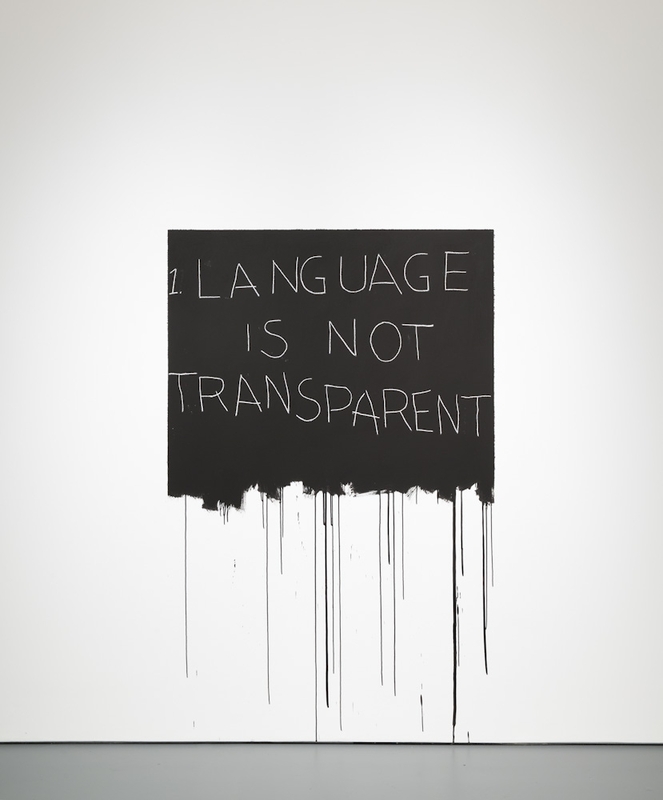 As in Roget, the formal and elegant and the colloquial and crude are lumped together. 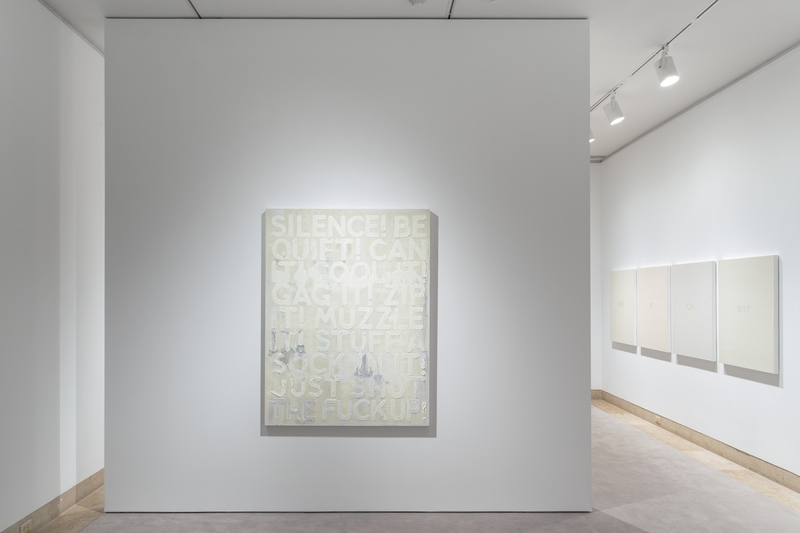 Bochner captures the language of the street, in which sources from Yiddish, queer theory, and hip-hop jostle one another. 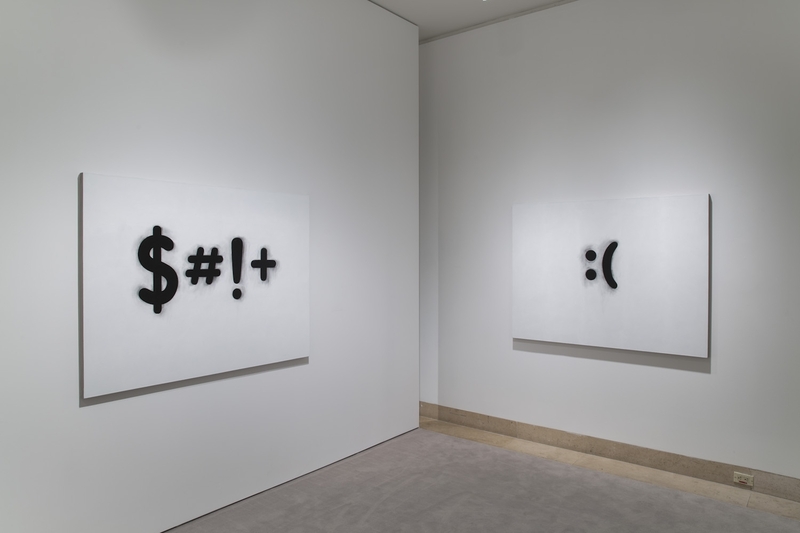 The artist’s double vision proposes a unity between two sets of discrete symbolic systems—word and painting; the philosophical and the commonplace. 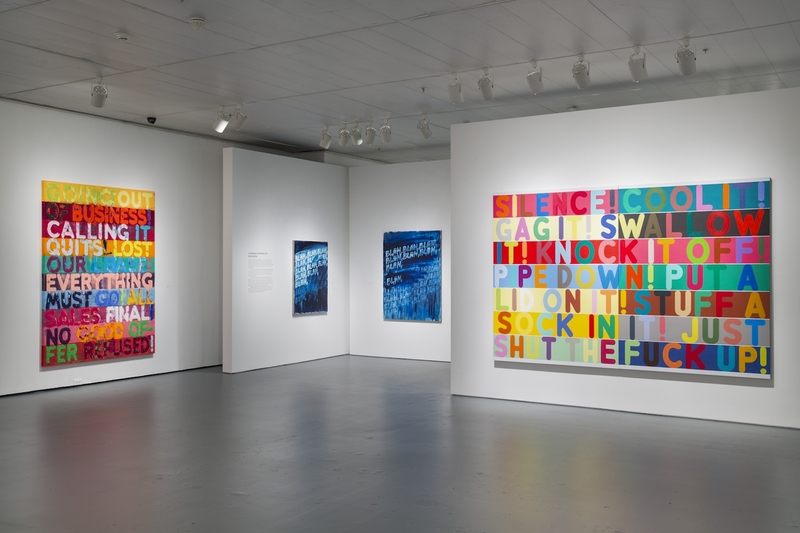 Mel Bochner: Strong Language offers sensual delight, intellectual ferment, and an opportunity to reflect on this seminal artist’s exceptional contribution to the art of our time. 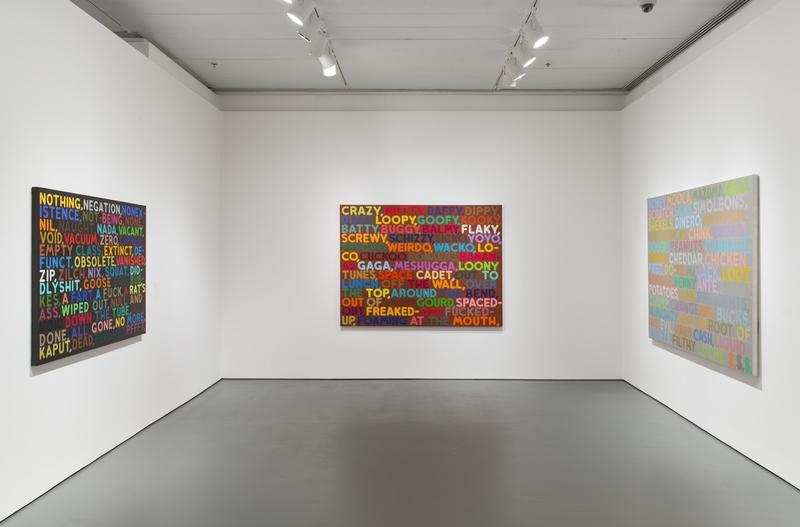 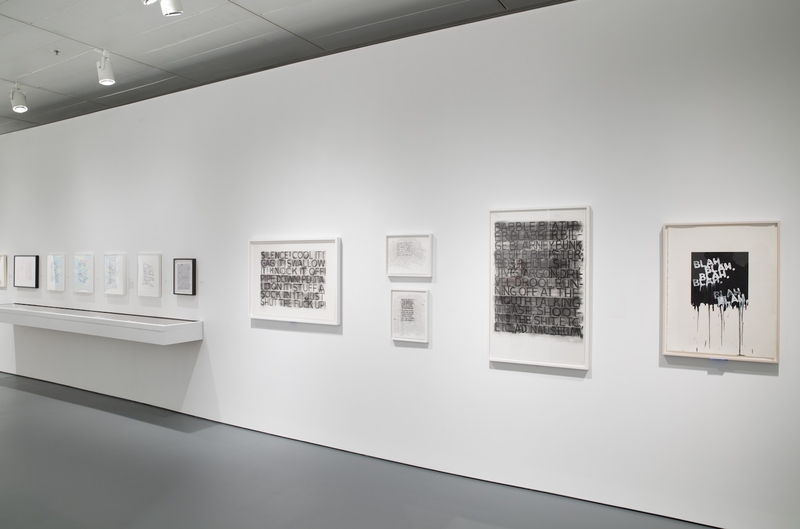 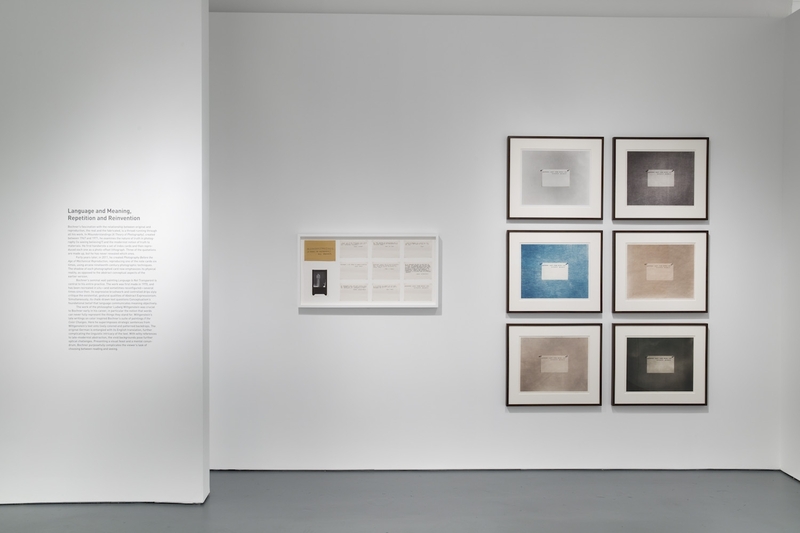 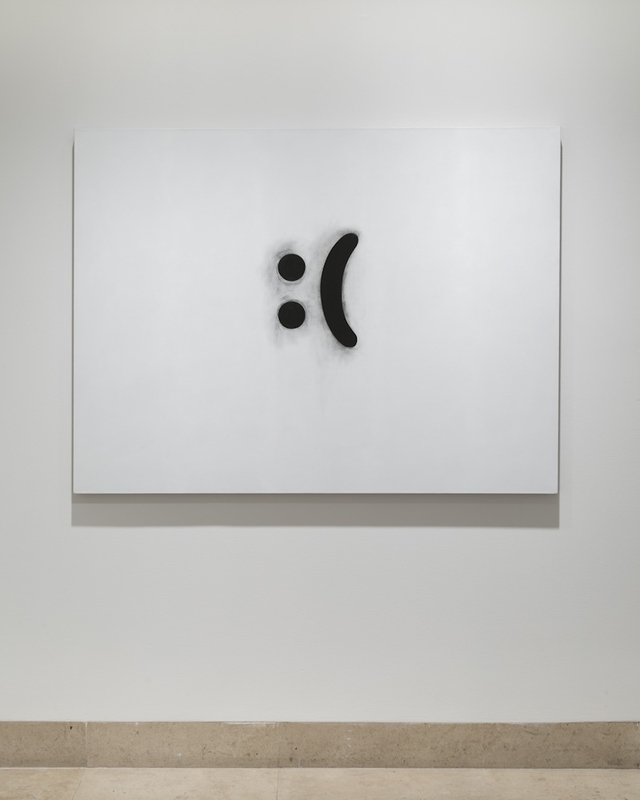 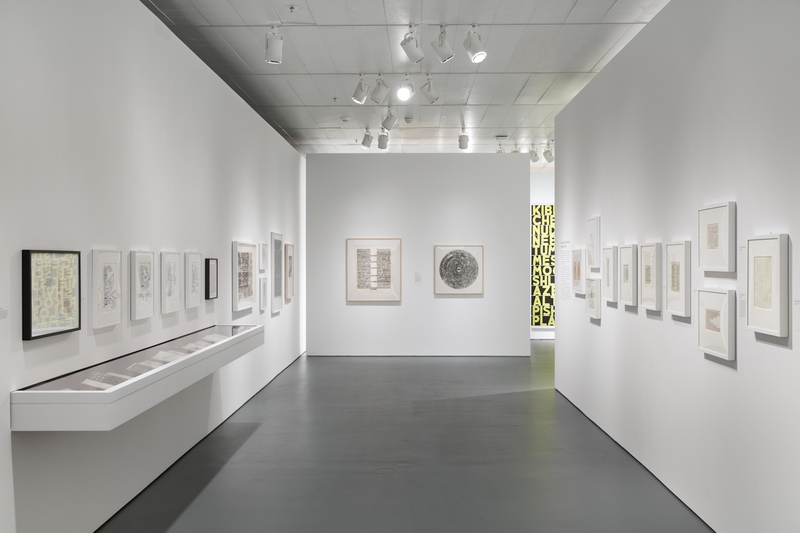 Mel Bochner: Strong Language is organized by Norman L. Kleeblatt, Susan and Elihu Rose Chief Curator of The Jewish Museum, with Stephen Brown, Assistant Curator at The Jewish Museum. 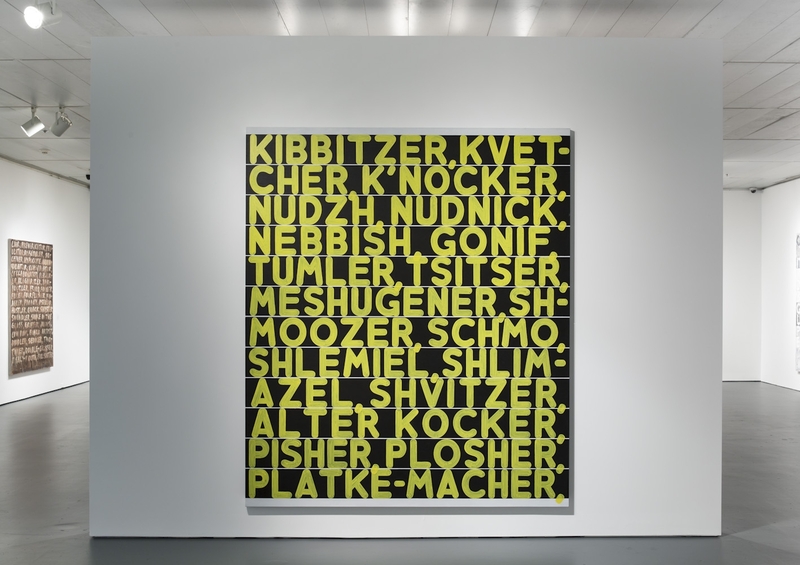 In conjunction with the exhibition, The Jewish Museum and Yale University Press have co-published a 144-page catalogue by Norman L. Kleeblatt with a text by Mel Bochner. 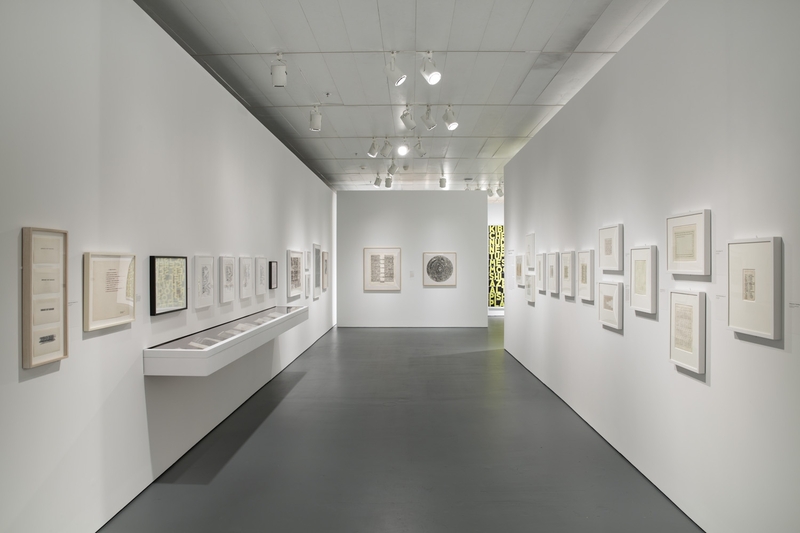 The exhibition design is by Smithsonian – Cooper Hewitt National Design Award winners, Tsao & McKown Architects.